Some of you might be wondering what's going on with us. Where have we been (beside Bali)? What have we been doing? Yes, I know there has been a small absence of blog posts during the month of October, but to tell you the truth, a lot of unexciting things have been happening. Instead of leaving you in the dark about the past six weeks of our lives, I decided to write an all-encompassing post that will catch you up on everything. As some of you may know, Matt had shoulder surgery just a couple days after we returned from our trip to Bali. No, you aren't having dejavu, he had this same shoulder surgery this past March... on the same shoulder. It was a repeat surgery, because his pain hadn't ceased, and his doctor thought he didn't remove enough of his collar bone the first time around. Everything went smoothly with the surgery, but the recovery seemed to be a little more difficult for Matt this time around. He was kept out of work for three weeks and out of the water for about six. Another reason we've been cooped up inside a lot this summer was due to the insanely strong typhoon season we've had this year. We literally had a typhoon rolling through here close to every other weekend. I know I posted about Typhoon Bolaven, but I should have waited a few more weeks for Typhoon Jelawat - the strongest typhoon Okinawa has seen in years. It was the first typhoon where I've seen cars actually flipping over and rolling down the street. Our parking lot looked like a bunch of toy cars had been pushed around by a toddler! Thank God our two cars were untouched. 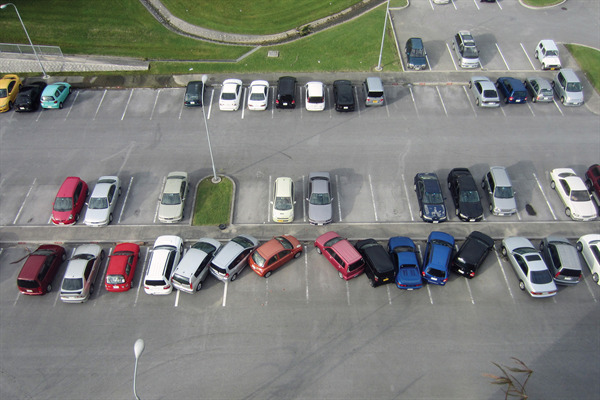 Photo that was on the cover of our local paper - this is an overhead view of our parking lot! During this time, we also decided to exercise our rights as Americans to vote! We received our write-in ballots from Illinois, and we were able to scan and email our votes in. There's a first time for everything! 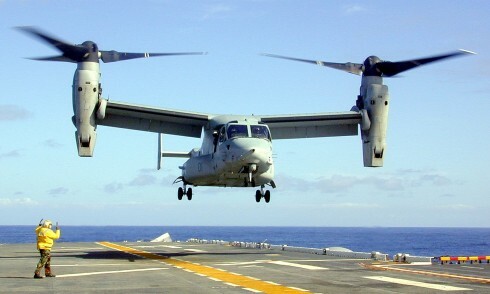 The month of October also saw the incredibly controversial arrival of the Ospreys to Okinawa. This may not seem too big of a deal to those of you not in the military, but it was a HUGE deal here. The Japanese are extremely angry that they are here, and because of that, we've had to endure protests on our way to work everyday. Matt and I both work on the air station Futenma, where the Ospreys are kept, so we are constantly protested against every morning getting in the gate. The really cool thing was that these planes are really neat, and I got to watch them fly in to Futenma for the first time while I was at work. A big CONGRATULATIONS goes out to Matt, who just completed his Associates Degree and has already continued on to finish his Bachelors! I know its been difficult over the past years of his Marine Corps career to get all of these classes done while working full-time, being a MC Martial Arts instructor, and going on deployments, but he's made a ton of progress, and I'm super proud of him! I'm not sure if it was Matt getting his Associates or what, but one of the major changes taking place in the Muscari household has been a mind-shift geared toward getting out of the Marine Corps, returning to regular civilian life, and living back in America. Ever since we returned from Bali, our mind-set has been completely different. I'm no longer thinking about planning our next trip, but planning for our new life that is about to start in the next seven months. Of course there are a million other places that I would love to visit and explore in the world, but we've been so blessed with incredible travel over the past three years that if Bali ends up being our last trip while we live overseas, I will leave happy. Our focus right now is on jobs, saving money, buying cars and a house, insurance... things we never have really had to worry about as a married couple living under the protective wing of the US military. Being out on our own is starting to become a reality for us, and we've focused much of our time and energy on starting to prepare for it. We are still having fun in Okinawa, and we still have some really fun times coming up with our friends, but we're just starting to prepare. Oh yeah, and we lost the E! and Bravo channels here in Okinawa (my two favorites), so we've also been watching pretty much all DIY channel.